Early January delivery for mine. Ended up AUD990.06 delivered which is still an amazing price for what you get. Perfect - appreciate the feedback. I was after a ballpark sense and you hit the nail on the head. I haven't really been following the Niche Zero as it's been a recent discovery for me. Without wishing to derail the thread, anyone care to explain why they've chosen this over what they currently have? For what it's worth, I'm cross shopping the Eureak Atom/Mignon Perfetto. The Niche is such a good grinder for dialling in recipes, for keeping coffee fresh, for not wasting half a bag in purging after adjustments, ect ect. The only down side I've found is making back to back coffees can be a bit slower. If you pre weigh your beans ready to go, and don't stress about measuring the output, just trust the grinder will give you what you put in, the work flow is fine. I still love my Mythos 1, but if I was looking for a new grinder unless it was a Mythos 2, I'd struggle to go past the Niche. The Niche is everything it's cracked up to be, so far at least. I feel mine is getting better too, I've got about 3-4kg through it now. justacuppa, samuellaw178, simonsk8r and 3 others like this. I've had a Mara for a few months now and I love it. I also have a Niche due to be delivered sometime this month. 8 Weeks in with the Niche and yes its grind has improved - if that is possible as the starting point for me was a remarkable improvement in workflow and grind consistency over the mini e. No regrets at all. As mentioned elsewhere popping beans during grinding can case shards to find their way onto the workbench, currently and temporarily, I am using the cut off top of a paper cup (think of egg rings shape) that very snuggly fits between the lid and the bean entry chute and forms a loose seal when the lid is down - this has stopped escaping shards. Still very impressed with the Niche and actually enjoy using it! Hi cool idea, do you have a photo at all? Will post piccies on the weekend. I have not seen that. Quality control? Design refinement between the first and second batches? Fewer beans in the hopper on my part? Different beans? I see occasional fragments hitting the roof but nothing has worked its way outside the chamber so far. I have this occasionally, and put it down to my fine grind setting increasing the distance between the silver ring and the cover allowing the shards to escape...... not a biggie for me. It is pretty sad, but do I get much enjoyment when .....the occasional recalcitrant bean pops about just refusing to succumb to the inevitable ...... Yes, I need to get out more ! Jono_Willmer, simonsk8r and noonar like this. put it down to my fine grind setting increasing the distance between the silver ring and the cover allowing the shards to escape...... ! What grind setting are you using? Mine is on 15 for the current beans. 20, 21, 22 for me. It would choke the R58 on 15 methinks (running at 6.5bar), I get a 40s slow starting, oozy pull at the 20-21 setting, 18g in, 18g VST, 36ish out, 40sec, naked sculptures just about every time. Consistent to such an extent if I think I have mad a mistake during prep (distracted or whatever) I can accurately predict where the lopsidedness will show up first during the pull. I am down at 3 for 13g grind in 15g basket, 27 second pour. Have you guys calibrated the grinder settings according to the niche video? I am around 21-23 mark always. Jono_Willmer, Janus and beensean like this. Calibrated mine after one weeks use (20shots). Time to do it again - soon. Typically mine has used settings 18-20. The current reduction is, I think, peculiar to some current beans which I have not had before. If it stays below 20 for others then I will check calibration. Last edited by Downunder55; 7th December 2018 at 03:00 PM. Jono_Willmer and topshot like this. I second that review in every way... could not be happier with mine and given the cost vs performance of the Niche vs more expensive grinders it is a winner on every front. Go on.. you won't regret it. That's 16 sleeps ......too many for a great grinder to be left unused ! Jono_Willmer, topshot, level3ninja and 1 others like this. Care to weight in on the noise? I was interested in this too, as our bedroom is quite close to the kitchen. My impression is the Niche is pretty quiet, and I am happy to use when "The Boss" is still asleep. The Niche makes a low rumbling sound as it grinds, it is not a shriek or a piercing sound. Jono_Willmer, simulacrum and level3ninja like this. It makes less noise than some hand grinders I have! It's seems quieter than a Compak K10 while actually grinding, could be due the the low frequency "rumbling" noise as Downunder55 said. Not measured, but definitely both quieter and lower pitched than a Rancilio Rocky. Now that is thinking outside of the square....... but I’ll hang in there. I’m still using my M4D so I am not without a grinder. Now if I was the Niche would be on the bench and dialled in the first night at home. I can't help you with that, but I have been using the Atom this weekend, but the way my dad has it setup he grinds into a cup anyway, so it's a no brainer the Niche would be better in this situation. The size of the Niche is small so whatever colour you choose it isn't going to dominate your kitchen. This is so so helpful. Thanks!!! Honestly, the only thing holding me back now is just my personal preference for a more industrial look. I can't process the small appliance look of the Niche. DaveC's review is great - it's an ideal breakdown. You couldn't ask for better marketing material huh..
Go for function/performance over looks. I have replaced my Compak K10WBC with the niche and couldn't be happier, smaller footprint and equal grind quality. How are these things at the coarse end of the scale? For V60 or siphon, foureegsample? *It's worse than you could imagine... Yes..
simulacrum, noonar and Janus like this. If you were close enough I could help out with a loan Mazzer Mini e that's not being used at the moment - thanks to the Niche. The wait time is not too bad for delivery in January, and I am sure, like many happy owners here, you won't be disappointed! I took a gamble back in september 2017, and with the delays, it was well over 12months before it finally arrived. Couldn't be happier! The extra delay for a well-designed and excuted project was totally worth it and restore my faith in crowd-funded projects after having backed a few failed/poorly delivered projects before. Last edited by justacuppa; 11th December 2018 at 09:37 PM. Jono_Willmer and CafeLotta like this. They are great, we use ours for V60 & Aeropress when not using it for espresso. It does a very consistent course grind. I missed that somehow - cheers. Excellent - looks like just the ticket switching between beans on V60's. The waiting is the hardest part. I’ve reverted to pour over until the Niche arrives, at which point I’ll resume brewing espresso. Wow - that's awfully nice of you! You'll be blown away by the taste you can extract compared to the Breville grinder. You may have to adjust your distribution and tamping technique, then it should be all good. are you using decent scale that measure in at least 0.1g increments? I have found small changes in bean weight to be reflected in the cup, directly and reliably. This is a capability I did not have before; at least, not with the same simplicity. One differnce I notice is, I grind a lot finer than what others are, i'm around the 10 mark. This isn't calibration, I need finer grinds than most. Last edited by DamianB; 15th December 2018 at 11:54 AM. Just wondering for those who have received their Niche, did you get tracking info the whole way or did it just arrive at your doorstep one day? 11 Dec 2018 12:15 United Kingdom The parcel is in transit on its way to its final destination. It is due for delivery today, so unless the package lost it's tracking somewhere or it hasn't arrived in Oz yet. I got tracking to a mystery warehouse in Australia, then it suddenly turned up. I believe it was with Fastway couriers and their Perth service is chequered IMHO. By the way, I love this grinder. My base for comparison is low (Breville burr grinders in the past) but I am mightily impressed with the grind quality and the taste in the cup. I didn't think it would have this much impact but it does. Fluffy grinds, low noise... everything everyone else is saying. 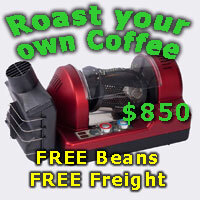 @DamianB - I'm grinding between 11 and 15 and about 19-20g (weighed to 0.1g) for a Breville Dual Boiler if that helps. simulacrum and Janus like this. I'm officially in coveting stage. I find I only need to adjust when I use different beans and then it's a small increment. Ugh this doesn't auger well... Fastways in Melbourne is one of the worst couriers I've ever dealt with. Took them a month to get a bottle of scotch to Melbourne from Brisbane once - included them breaking the first bottle, failing to tell me until I harassed them, then lying to me that they couldn't see the details on the label because the label had been damaged (yet they were able to identify which package I was calling about when I provided my details) Then lying to me that they’d told the sender and arranged for a replacement (I checked with the sender and they hadn’t) then failing to tell the sender until I reminded them multiple times, then taking their sweet time to deliver it, then the driver claiming there was no access to my office in a big busy public building with 24/7 reception downstairs in middle of the work day, then the next truck driver claiming his van broke down en-route.. ugh. I’ve never had a delivery go smoothly with them.